National Assembly’s Human Rights Committee presented a report on the status of human rights issue, a follow-up on the resolutions passed during the fourth session. The committee’s chairman, MP Pelzang Wangchuk said publicising loan defaulters in media outlets has been discontinued. The Members of the National Assembly also discussed issues related to Drayangs. The committee’s finding shows that some Drayangs are selling alcohol without bar licences. The economic affairs minister, Norbu Wangchuk said the Drayangs are not allowed to operate on leased bar licence. Lyonpo said they will look into the matter. He also mentioned the ministry stopped issuing new bar licences since 2010. MP Pelzang Wangchuk also presented that the Drayang operators are requesting for time extension. They have to close it by 11 PM, at the moment. The house decided to leave it for the committee to inform BICMA and police to study the consequences. According to the report, the police is concerned about extending the operating time for Drayangs given the high number of criminal activities that occurs in Drayangs and Discotheque. The committee also informed the house that the police and education ministry are working to institute non-formal education for the open air prisoners at Dawakha in Paro. The committee also raised concern regarding census registration of the new born babies in the prison. The home ministry will look into the issue, the house decided. 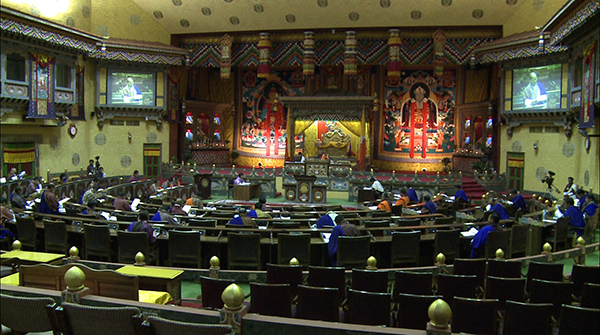 MP Pelzang Wangchuk informed the National Assembly that most of the resolutions were implemented and the Human Rights Committee will continue to monitor the implementations of pending activities by the agencies.